Special Forces veteran Travis Combs just wanted to forget his weary years of leading combat missions while taking an extended rafting trip through the Grand Canyon. 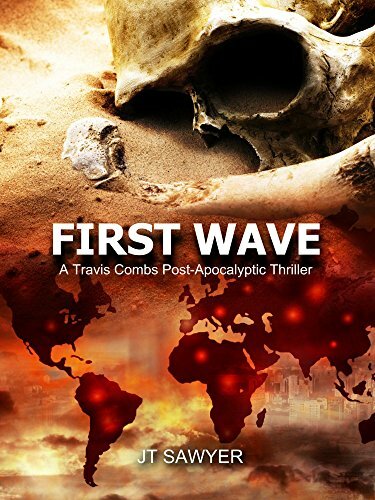 As he and his group complete a 22-day trip on the Colorado River, they find the world has unraveled from a deadly pandemic. Now he has to show his small band how to live off the land and cross the rugged Arizona desert, while evading blood-drinking zombies, gangs of cartel bikers, and a rogue government agency. About the Author: JT Sawyer is the pen name for the author who makes his living teaching survival courses for the military special operations community, Department of Homeland Security, US Marshals, FAA, and other federal agencies throughout the US. He has over 25 years of experience testing long-term survival skills in the desert, mountains, and forest. This is his first work of fiction in a series of post-apocalyptic books.